A research group is warning Canadian farmers to keep a close eye on their cattle herds as certain weather conditions this year could lead to an elevated risk of anthrax. Anthrax is caused by a bacteria that lives in the soil. 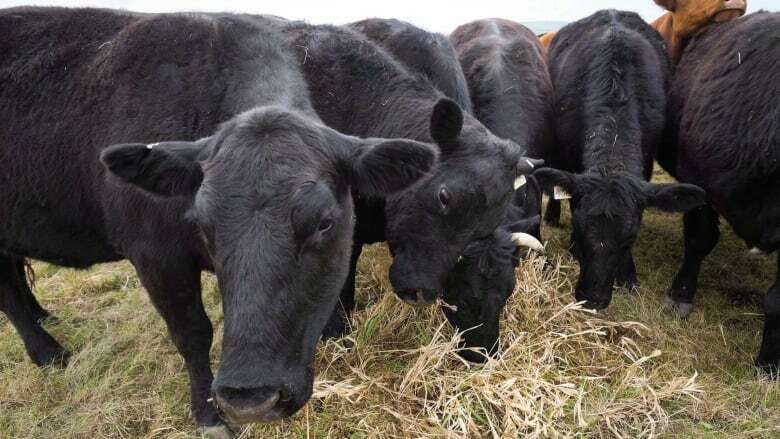 Reynold Bergen with the Beef Cattle Research Council said very dry or very wet weather and flooding are some of the factors that can increase the odds grazing animals like cows, bison and sheep ingest it. The disease is highly contagious and typically kills animals quickly. Bergen said it's not the first time they've asked beef producers to be on the lookout. "The reason we issued the warning is simply because we know the conditions under which it's likely to raise its head and because it can be avoided. There is a vaccine," Bergen told CBC News. Researchers estimate there have been about two dozen outbreaks in Canada since the 1960s. One of the largest occurred in 2006 in Saskatchewan and Manitoba, where more than 800 cattle died from the disease. Still, the chief veterinarian with Alberta Agriculture says anthrax incidents are rare. "We'll see maybe one or two cases in a given year and then we probably go a couple of years without seeing any," Keith Lehman said. Researchers say the anthrax risk is typically high during the summer and that it poses a minimal risk to people and the food chain. The council recommends farmers call a veterinarian if they suspect one of their animals may have been infected, and that it's essential it's detected early to prevent its spread.